According to a recent update from Nyko, gaming controllers for tablets will also be made available very soon as they are working on it. Nyko is one of the renowned gaming peripherals manufacturers. They have also said that these controllers will be able to deliver a console-quality gaming experience on Android devices. They are expected to support gaming tiles that have been optimized for NVIDIA Tegra mobile processors like the high-powered graphics capabilities of the Tegra 3 quad-core processor. These controllers are expected to be out in the market by this fall. 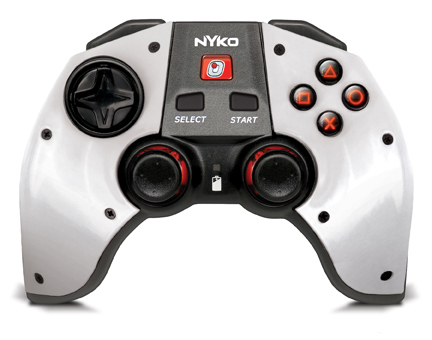 According to Chris Arbogast, Director of marketing for Nyko Technologies, the enormous growth of the mobile and tablet gaming can be enhanced further with their new controller and they will provide familiar controls to tablet gamers as on console. The tablets are already evolved with a high definition graphics in them and performance; however the only limitation that has not evolved till now was the physical input controllers. He also added that they were happy to collaborate with veterans like NVIDIA in creating hardware dedicated to running games on their Tegra chip. Some of the products that might be in their list of products by this fall are as PlayPad Pro, delivering an at-home gaming experience with its dual analog stick, D-Pad, face buttons, and shoulder triggers/bumpers. For the PlayPad, Nyko will introduce a mini controller that will come with dual analog sliders, a collapsible tablet stand and a carrying case. All these controllers will be useable out of the box too which will allow them to go through any lengthy or complicated rooting process. These devices will mostly prefer to be connected by Bluetooth with the tablets and will run on Android 3.0 version of tablets or higher.